If Abuse, Neglect, or Violence Happens Sadly, there can be instances when abuse, neglect, or violence happens to vulnerable people. Those with health or disability challenges, or who are elderly or very young, can be especially vulnerable if they rely on others for their wellbeing and safety. But, in some situations, carers can also be vulnerable and may experience harm from the person they support. What should I look out for? Watch for any action, or a repeated action, or any lack of action when it’s needed, that causes harm or distress to a vulnerable person. This might be the actions of others who share caring/support responsibilities for the person you support. Or the negative actions of relatives, friends, or support professionals. It might be that the person being supported is harming their carer, or that family, friends, or support professionals are taking advantage of the carer in a harmful way. Discriminative – when someone’s treated badly or unequally because of their age, race, gender, sexual orientation, or religion. Phone the Family Violence Information Line at 0800 456 450 – 7 days, 9am – 11pm. Phone SHINE at 0508 744 633 – 7 days, 9am – 11pm. Speak to the person’s GP, social worker, or family support worker. If there is immediate danger to someone’s safety, phone 111. 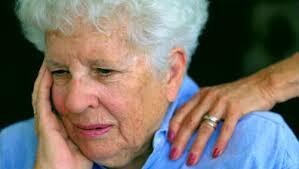 If elder abuse is suspected, Age Concern provides excellent help, information and support. Or phone them at 0800 32 668 65.
o Contact The Ministry of Vulnerable Children, Oranga Tamariki. www.mvcot.govt.nz/worried-about-a-child-tell-us/ or phone 0508 326 459. Are you being harmed yourself? The safety and wellbeing of carers matters too. Some carers can experience violence or abuse by the person they support. Many don’t know how to manage it and some choose to keep it a secret. Ask yourself, Does the person I care for behave in a way that causes me physical or emotional pain or injury? Or some other kind of harm? (See the types of abuse listed above.) Do I think they don’t realise they are hurting me, but they are? Am I too scared to speak out? Talk to your GP, social worker, or family support worker. Phone the free Family Violence Information Line at 0800 456 450 7 days, 9am – 11pm. If you have been injured or are feeling threatened, seek immediate help. Contact your GP, Medical Centre or hospital, or a neighbour, a trusted friend, family member or support worker. If there is ever immediate danger to your safety, or that of others, phone 111. Do you need help for your own behaviour? Caring can be extremely stressful and, at times, some carers themselves behaving in unacceptable ways that harm the person they support. If this sounds like you, reach out for support and help as soon as possible. Phone Man Alive at 0800 826 367 for anger management support. § Phone these organisations for advice if you have caused sexual harm, or are worried that you might.